Red and black cherry are the hallmark fruit qualities in the 2017 Montalto Estate Pinot Noir. Combine this with notes of black tea, blood orange, florals, spice, earth, dried herbs and forest floor, with a lick of tiramisu trailing from the oak and the result is a formidable and complex aroma profile. 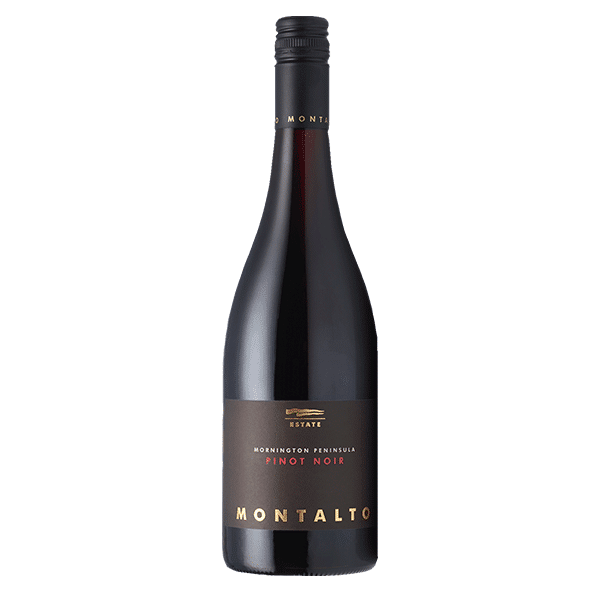 The 2017 Montalto Estate Pinot Noir floods the palate with plenty of juicy red and black cherry fruit together with crushed raspberry. The sweet fruit is harnessed by some serious structural ripe tannin which carries the length of the palate and is supported by bright natural acidity and a long and savoury finish. "There's much to gush about with the depth and structure on show. Veneers of aromatic pleasure await in the form of smoke, char and dark cherries initially before pretty florals arrive with some air under its wings. Earthy fruit continues at a neat tempo through the mouth where some rare meatiness can also be seen. Dense and generous dark plums fill the mouth later on with flecks of dried Mediterranean herbs closing things out with a bright acidity. I feel fancy drinking this. You will too." Our Montalto Estate label represents the best parcels of fruit from our vineyards. Balanced vine physiology and meticulous attention to detail in the vineyard ensure premium quality. 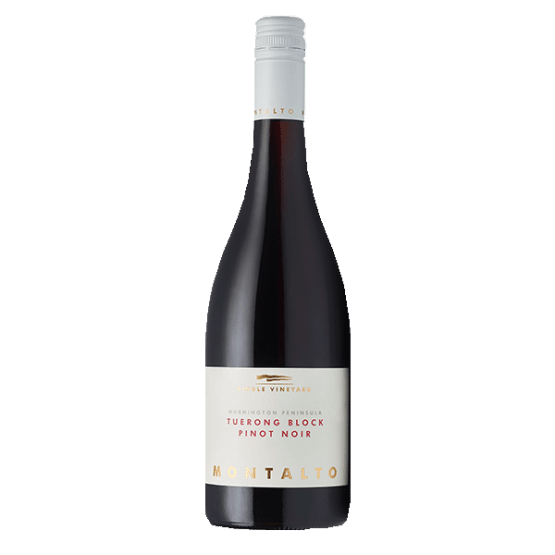 A vintage of both fragrance and structure, the 2017 Montalto Estate Pinot is a blend of vineyards from across the region including the cooler areas of Red Hill and Main Ridge (51 per cent) and from our warmer Tuerong vineyards (49 per cent). Red Hill and Main Ridge blocks provide classic red-fruited high-toned notes, whilst darker and earthier qualities come from our warmer Tuerong vineyards adding depth and structure. Hand-harvested grapes were sorted before gently destemming into 2-tonne open fermenters and allowed to soak for between three and seven days prior to the onset of wild fermentation. 5 per cent of the blend underwent carbonic maceration for two weeks before being destemmed and then fermented on skins to dryness. Ferment temperatures were allowed to peak at 32 degrees Celsius. A post ferment maceration of four to seven days followed before pressing. The wine was lightly racked to barriques and puncheons (28 per cent new French and 3.5 per cent new Acacia) for natural malolactic fermentation and 11 months maturation.